Joining me for this extra special bumper Hallowe’en special are the authors of the rave reviewed celebration of the darker side of growing up in the 70s ‘Scarred for Life’ Stephen Brotherstone and Dave Lawrence. 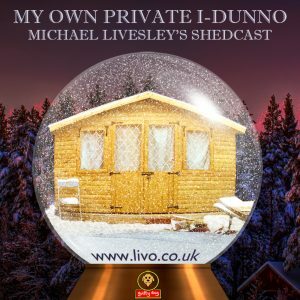 ‘The Livo Lounge’ is a new filmed podcast hosted by Michael Livesley, known from his one man show based on Vivian Stanshall’s ‘Sir Henry at Rawlinson End’ recorded live in the heart of Liverpool’s Lark Lane. This week’s guest is guitarist, pianist, actor and raconteur Mike Neary, recounting his days from budding Litherland musician to the unique place he now holds in Liverpool’s arts firmament. Mike discusses his early days in bands, his love of Prog Rock, a shared passion of mine, and Kate Bush. 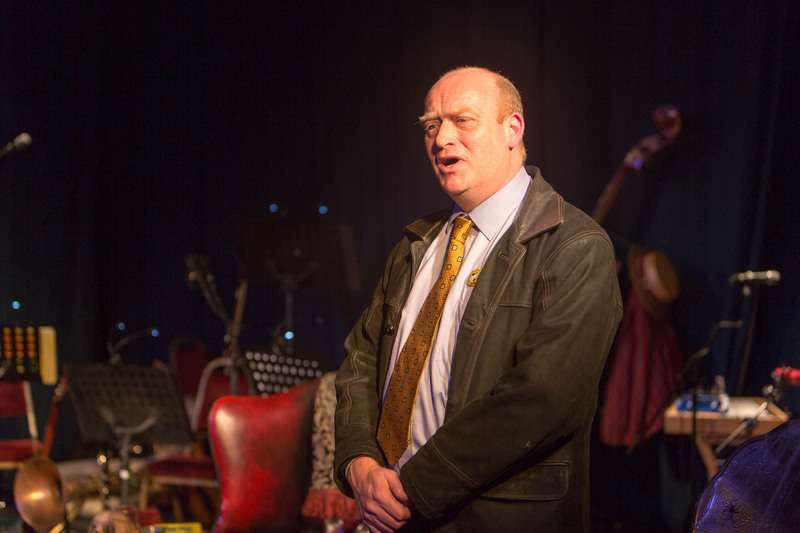 Mike also details his lengthy working life as musician, actor and interviewer of such luminaries as Alexei Sayle, Kirsty Wark, Peter Serafinowicz and Michael Heseltine. Much is covered in this chat from Bowie to modern politics. 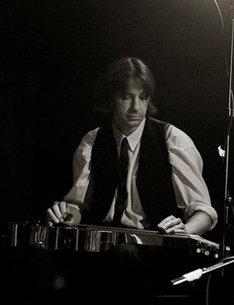 This week’s guest is artist and bass commander Martin Dempsey who discusses his life from the dales of Todmorden to the streets of Liverpool. 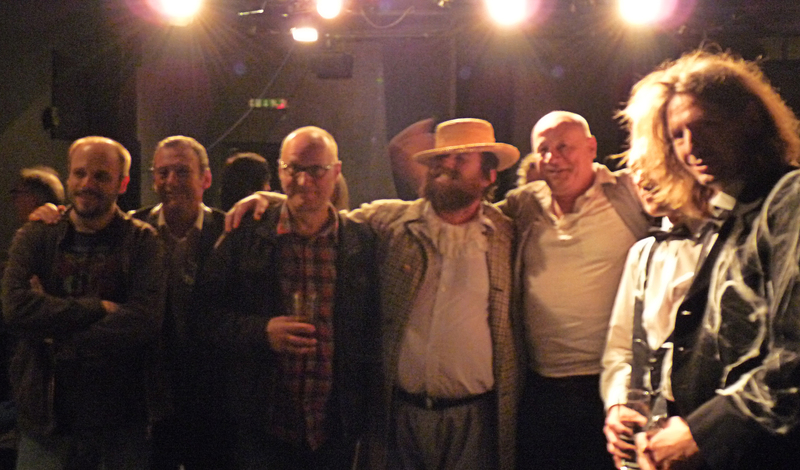 Along the journey there are stories of Eric’s, Bill Drummond, Ken Campbell and Adrian Henri. Not to mention his legendary Grandad. This week’s guest is old mate, and music impresario Dave Pichilingi discussing his career from the days of 35 Summers to the present day. This one is dedicated to our mate Bob Rathmill who as you’ll hear played a crucial role in Dave’s story. 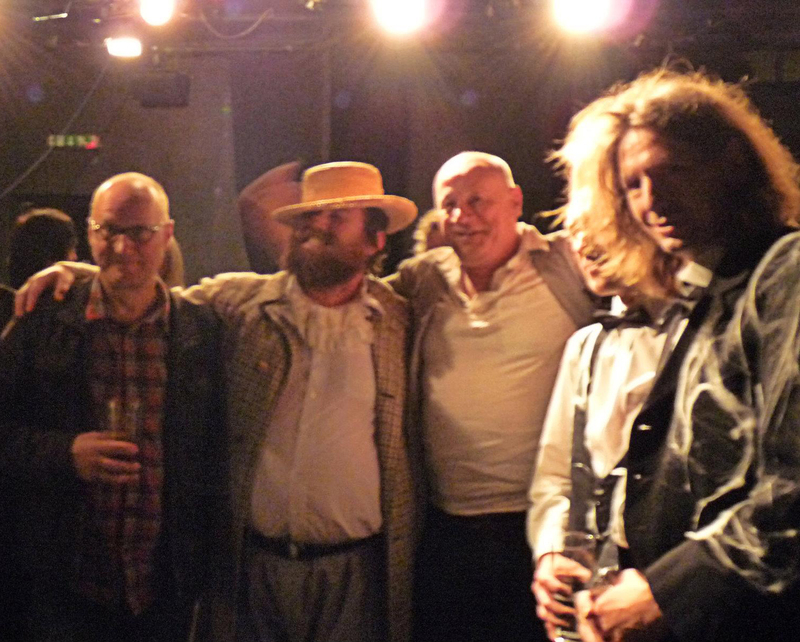 ‘The Livo Lounge’ is a new filmed podcast hosted by Michael ‘Livo’ Livesley, known from his one man show based on Vivian Stanshall’s ‘Sir Henry at Rawlinson End’ recorded live in the heart of Liverpool’s Lark Lane. This week’s show is a celebration of that legend of the old country Jack Hargreaves and his Southern TV show ‘Out of Town’. To tell the story I am joined by Jack’s Stepson Simon Baddeley. By kind permission of Simon the show features many clips from ‘Out of Town’ and also the famous theme tune. This week’s guest is renowned album cover artist Steve Hardstaff, discussing his work from his student days helping Peter Blake on the Sgt Pepper sleeve to his current work with Half Man Half Biscuit. This week’s show is a magical mystery tour of ghosts, legends and the occasional Thylocine from the neolithic age to the now from those modern antiquarians John Reppion and Richard MacDonald. 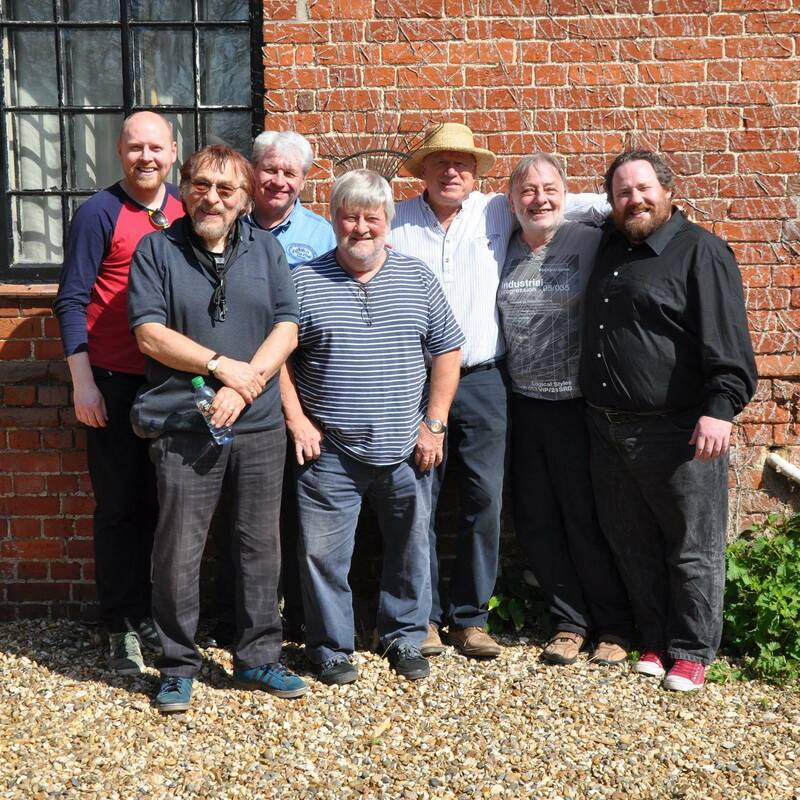 This week’s guests are those doyens of the Ukulele scene The Ukulele Uff Trio aka Chris ‘Ukulele’ Uff, ‘Lonesome’ Dave Searson and ‘Brother’ Bill Leach. It’s quite a boozy one this so prepare for some candid chatter. This week’s guest is Liverpool based musician, writer and singer Parabhen Lad discussing her work and life in general. This week’s guest is my old college lecturer, Liverpool based documentary film maker Roger Appleton, talking about his work including his current film ‘Looking for Lennon’. Hello, good evening and ey up! 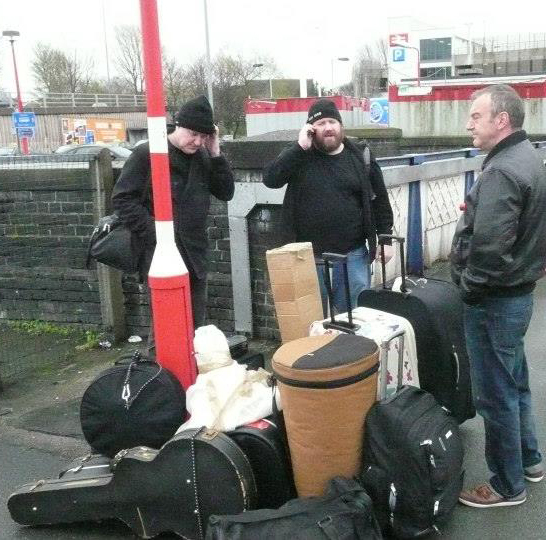 For the second Livo Lounge we dip our toes into the murky swamp that is the Lark Lane Music Scene and pull out a few ‘live ones’ Martin Dempsey and Ste Lamb of the band ‘The Gentle Scars’. The chaps discuss their careers and adventures including amphetamine fuelled charity cricket matches with Motorhead and let rip on life, the universe and everything. Great fun! Evening all! Well it has taken a wee while to get the studio built and get up and running but The Livo Lounge – my new filmed podcast recorded live in the heart of Liverpool’s Lark Lane – is now open for business. Here is the first episode for your amusement. 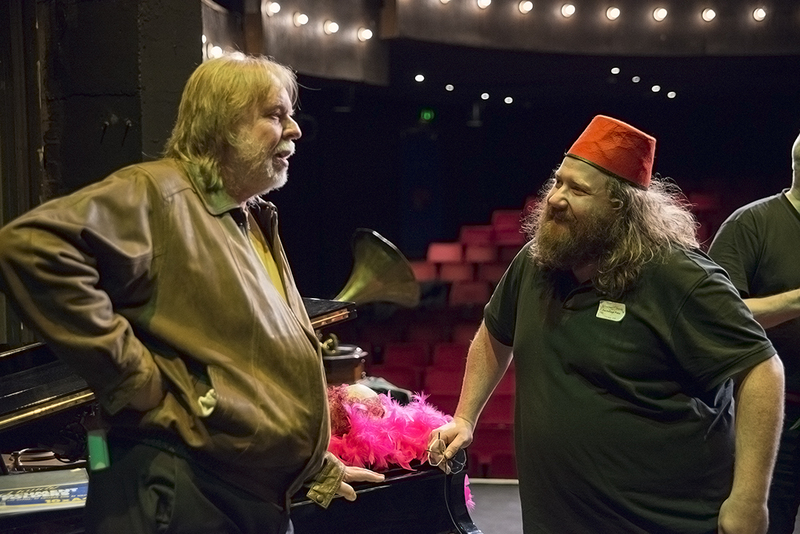 An interview with those legends of Physical Comedy ‘Big Wow’ aka Matt Rutter, Tim Lynskey and, fresh from his runaway success ‘The Big I Am’ at the Liverpool Everyman, Bob Farquhar – to talk about their years of devising and performing. 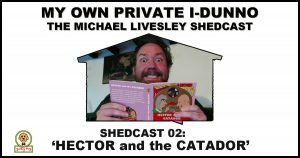 For this second Shedcast I go all Jackanory with ‘The Adventures of Hector and Mary – Hector and the Catador’ – an everyday story about a couple who live in a lighthouse. Mary has the enormous Hector on a diet as today is the day he gets weighed at the lorry park. However, trouble arrives along the way when Hector gets a whiff of the new Artisan bakery…. The Parrotopiate of the Masses! Well, it’s been a long time since I’ve had the time to post. 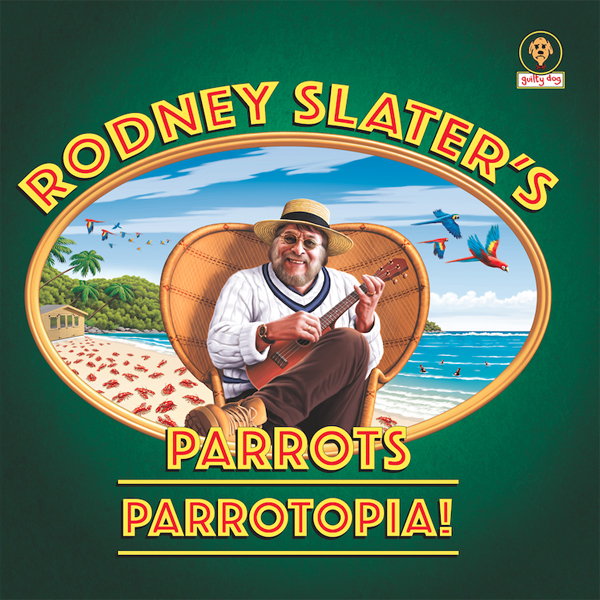 Despite a paucity of live shows this year it has still been one of the busiest years I’ve known due to the writing, recording and producing of Parrotopia! 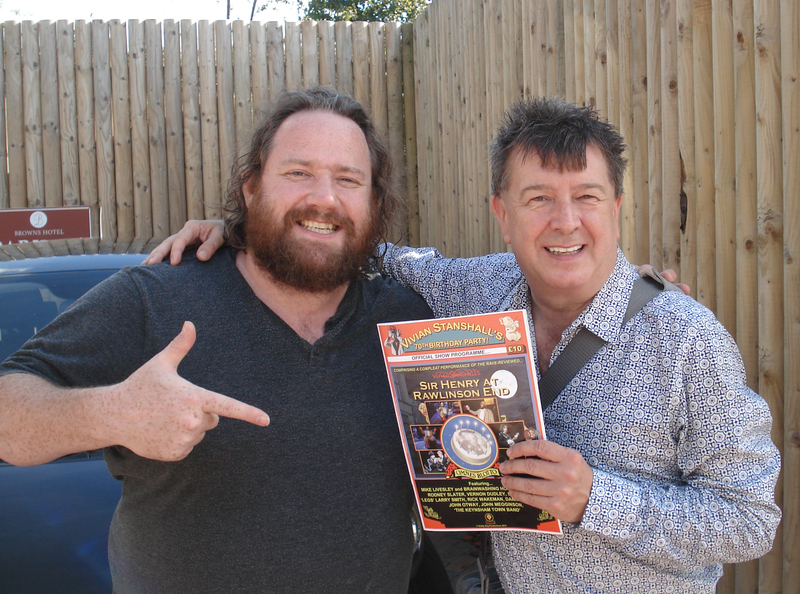 My first collaboration with Lord Rodney Slater of The Bonzos. In total it was a gestatory 9 months, but a very jolly one! 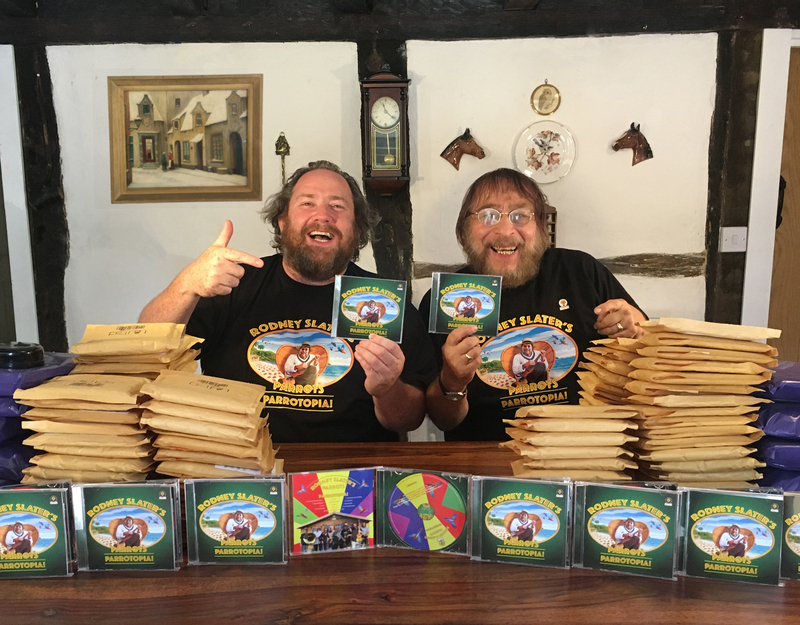 The CD is now available to buy here or if you prefer to ‘try before you buy’ you can do that here. A full field report shall be forthcoming in a few weeks when I drag Lord Rod into the shed for a good long gab about the whole process. 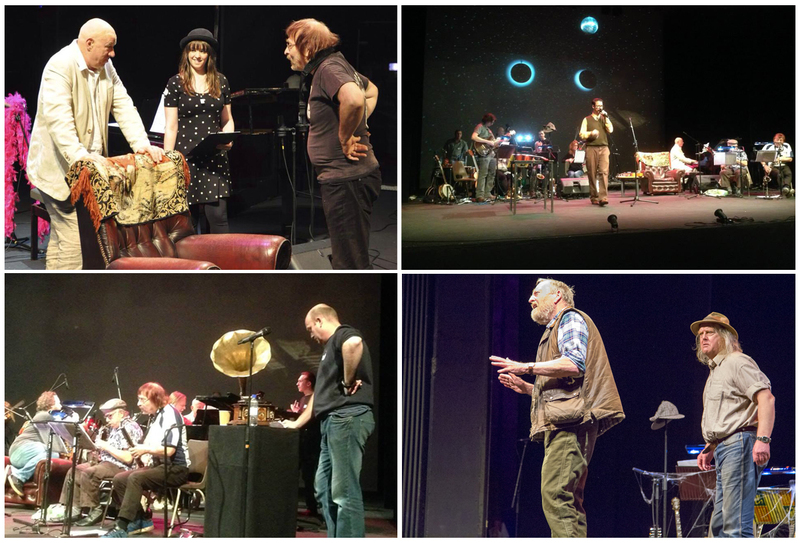 Meantime here are a few bits of press we’ve done to give you a flavour. Until the next time dear chums! Author Michael LivesleyPosted on October 6, 2017 October 10, 2017 Categories UncategorizedLeave a comment on The Parrotopiate of the Masses! Finally – after much technical mither – Shedcast 01 is here! An in depth gab in the shed over a pot o’ rosie with founder Bonzo Dog Rodney Slater. We discuss his journey from young newt on the farm in Lincolnshire to the parrot he is today via sojourns in psychiatry and The Bonzo Dog Doo-Dah Band. 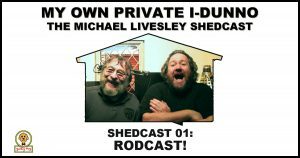 Author Michael LivesleyPosted on March 10, 2017 October 10, 2017 Categories Uncategorized4 Comments on Shedcast 01 – RODCAST!! Ok, here goes! Let’s hope this works! Me head is melting!! Well well, I hope you all had a Merry Crimble? A fine old gorging season was had here at Livesley Towers with copious amounts of festive tuck and grog attacked with alacrity by yours truly and all served with a liberal side order of Bisodol with the stomach pump on standby. So as the final flickering flame of 2015 sputtters its last, and I manfully hoover up as much of the remaining Crimbo goodies as I physically can before midnight strikes and the usual ‘new year new me’ routine begins, thus giving me another stone to lose in the process – ‘gotta get up to get down’ as James Brown once sang – I decided I’d better put the brandy eclairs down for a moment and write up some form of review of this brilliantly chaotic year. Despite employing brevity the following is still quite long – OOER – but how *do* you squeeze 12 months into such a tiny box madam? 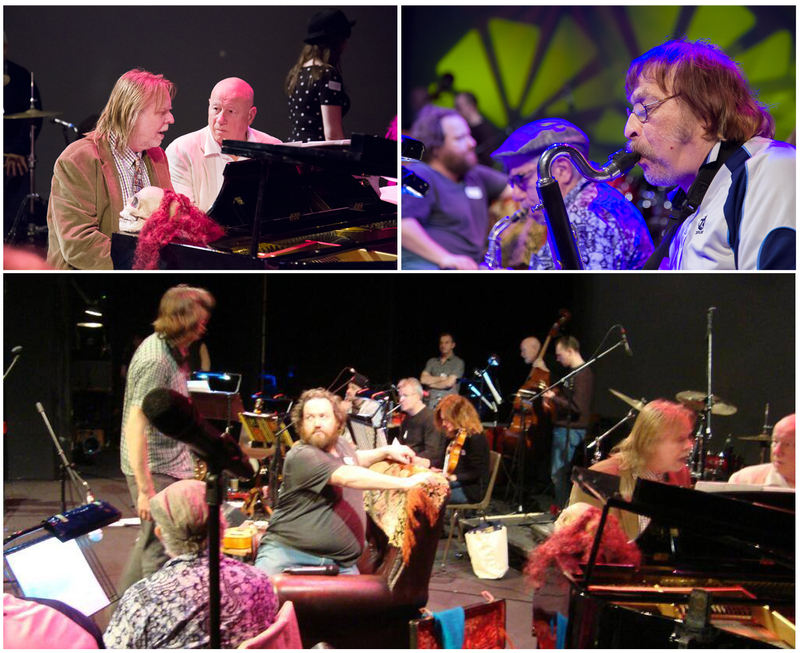 For the answer to all of this and less you’ll have to read on’t…..
FEBRUARY – a lovely clear month which enabled Bill and I to prepare the ground for the CD release of our stage version of Viv’s classic Sir Henry at Rawlinson End, which I am pleased to say that it will be released next year on Rick Wakeman’s new label – RRAW – but more news on that later…. 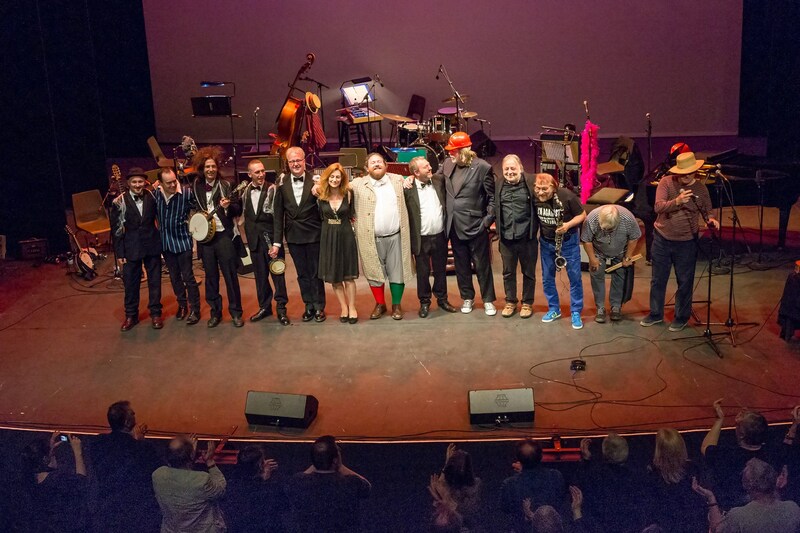 The finale from 2014’s ‘One Night Stanshall’ night at the Bloomsbury Theatre where we were joined by Neil Innes, Rick Wakeman, Danny Thompson, Rod Slater, John Halsey, Susie Honeyman, Time Team’s Phil Harding and Frances Pryor, Jim Cuomo, Mr B the Gentleman Rhymer and Vivian’s son Rupert. Well. 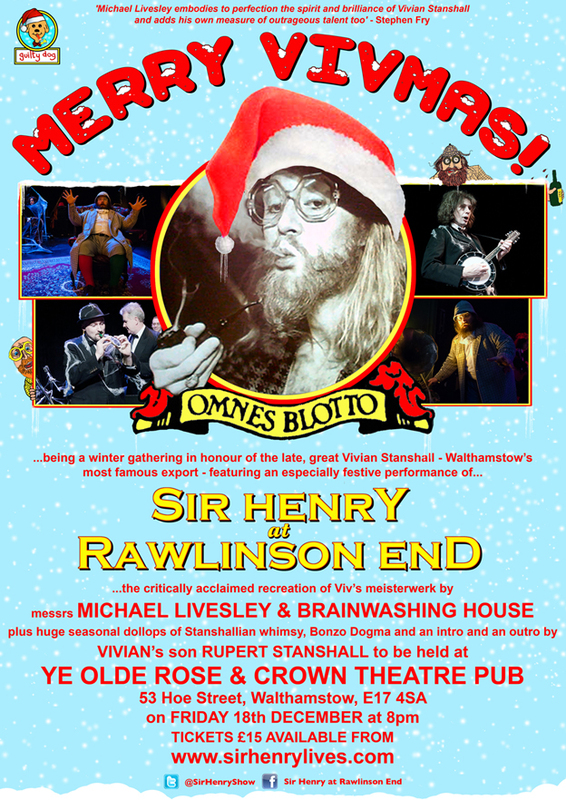 It’s been a funny wonderful old year for our show ‘Sir Henry at Rawlinson End’. 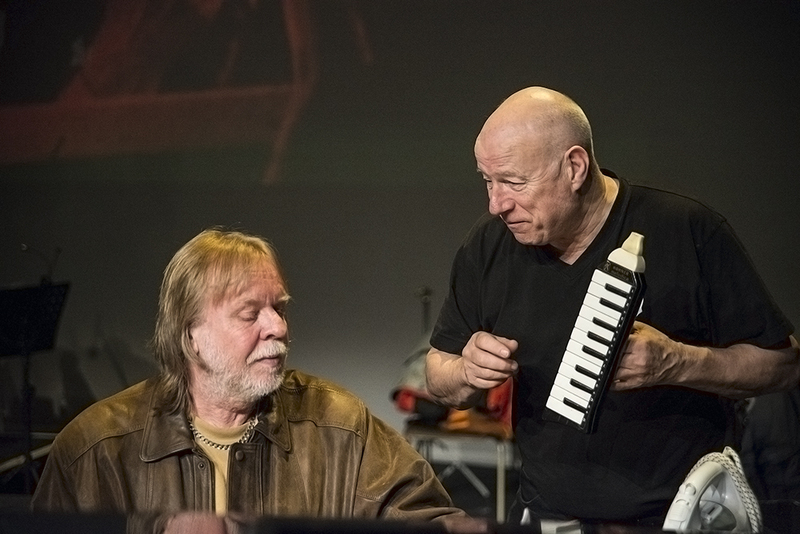 One that has seen us once again working with greats like Neil Innes, Rick Wakeman and Danny Thompson, and also performing across the land at some of the loveliest venues with some of the nicest people in the biz – and next year is also shaping up to be rather special too. 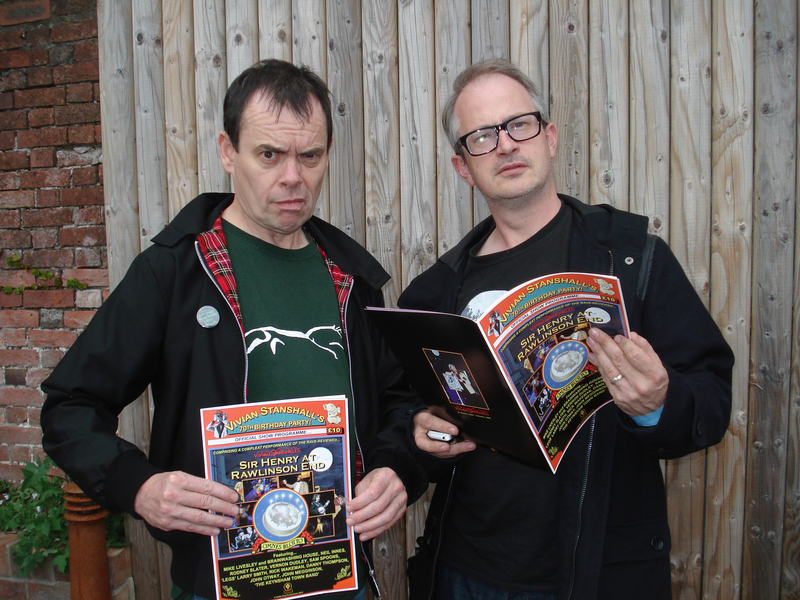 We kick off 2015 in fine style by performing at the Bristol Slapstick Festival on January 25th at the Bristol Old Vic. Yes. 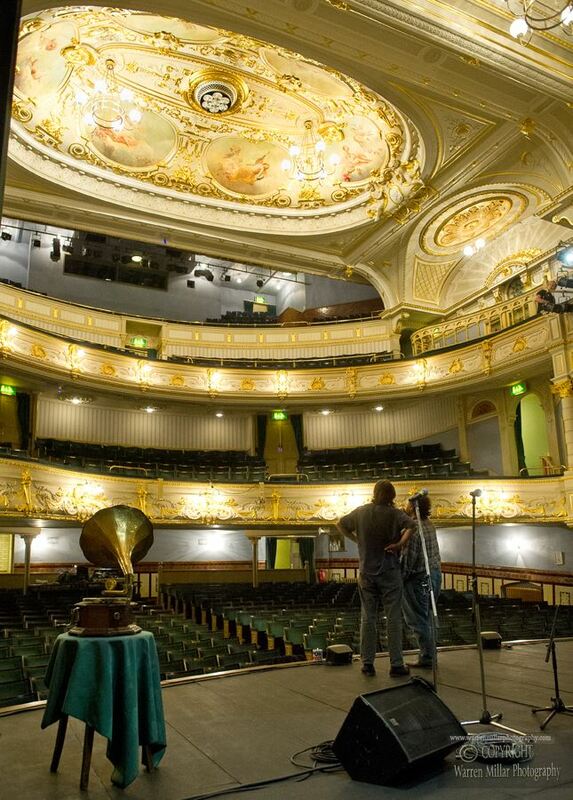 The Bristol Old Vic! 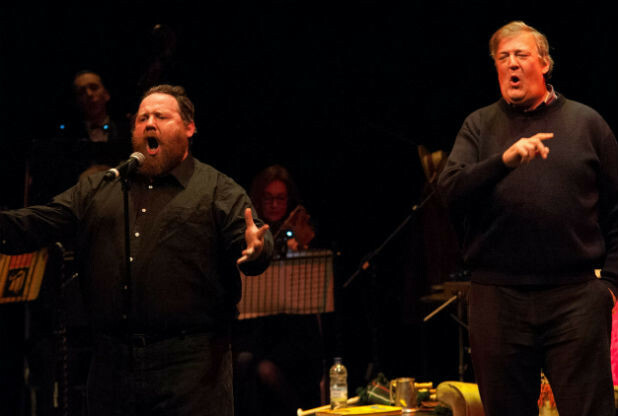 In actual fact, we shall be the closing act of the 2015 Bristol Slapstick Festival and, on this incredible evening of Stanshallian celebration we shall be joined by none other than Stephen Fry!! Yep! That’s right! 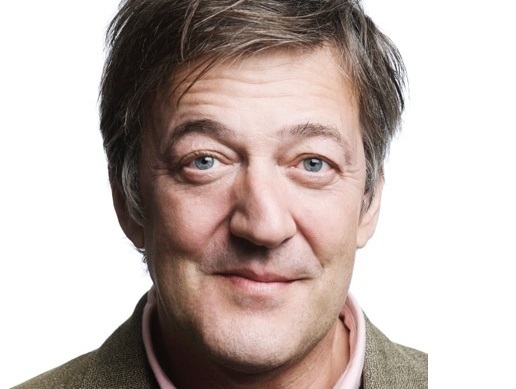 Stephen Fry! ‘Shut the front door!’ as the youth of today might say! With that in mind, and seeing as the show has recently gained quite a lot of new fans, it’s probably a good time to answer that age old question David Byrne once almost sang – ‘Well…How did we get here?’ It all began in 2006 when my good friend and percussionist Jonny Hase played me a CD that would prove to shape much of my life in the coming few years. 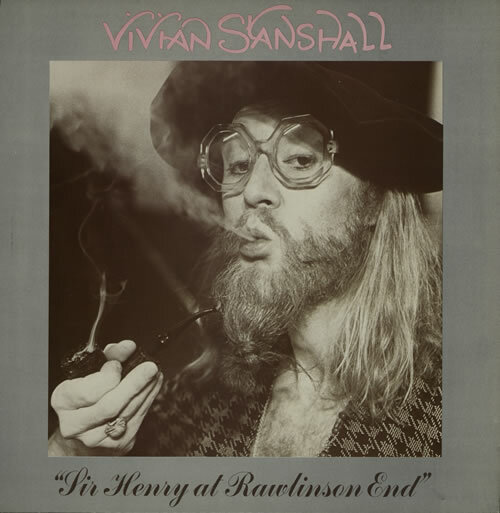 The CD was ‘Sir Henry at Rawlinson End’ by the late, great Vivian Stanshall, ex-Bonzos lead singer, and owner of one of the finest creative minds that this country has ever produced. For the next hour I was captivated by its majesty, brilliance and humour and knew that I was hearing something very special. However it wasn’t until 3 years later, during yet another one of my periodic attempts to get fit, that I was really ‘hooked’ by Sir Henry. As I was cycling along the Liverpool waterfront I became aware that I was listening to one LP much more than any other. Sir Henry at Rawlinson End. 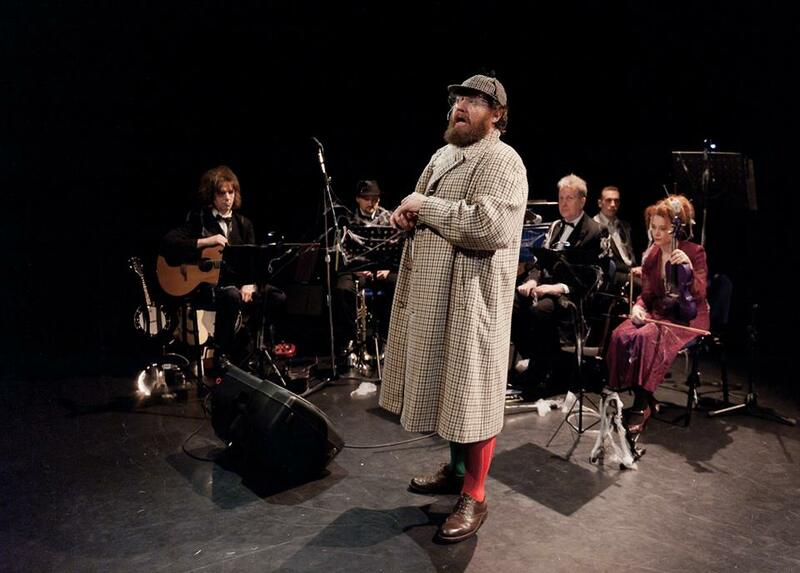 Such was my admiration for the piece that I developed a very strong desire to see it performed live. To me it seemed like it would make the ultimate edition of Jackanory, (one of my faves being a bookworm kid), but I could not find anything on the internet to suggest that anybody was doing it anywhere in the world. 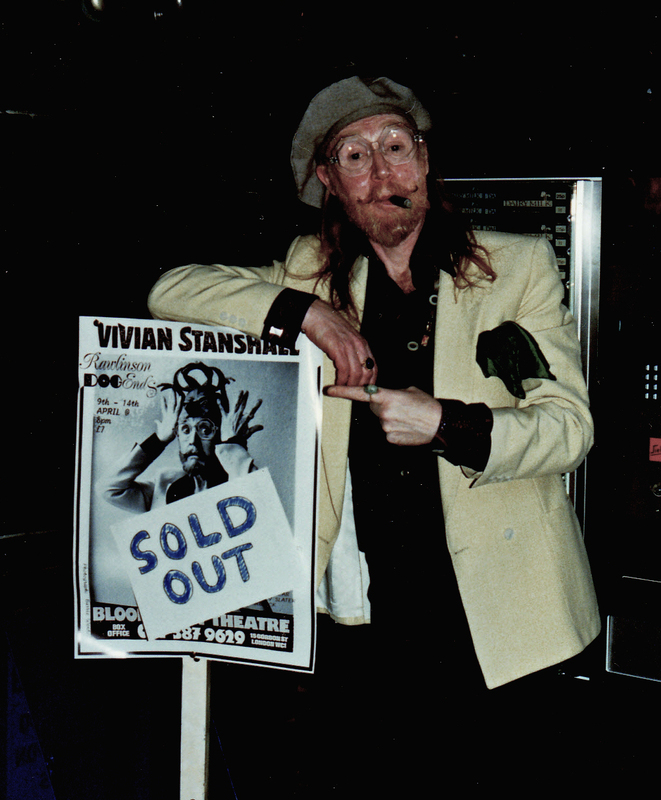 If that wasn’t troubling enough, most of the people that I mentioned Vivian Stanshall to had no idea who he was, and my comments were often met with a reply of ‘Vivian Who?’ One of the greatest artists of the 20th Century? And he was being forgotten? This would not do! At about that time, as I lay in bed one night, after a very lively and enthusiastic session on some lovely Belgian white beer, a sudden realisation hit me like a bucket of iced cold water in the face. If nobody was performing this piece, and I was the one so desperate to see it done, then I would have to be the one to do it. After all, I reasoned, ‘I’m an actor and a singer. So why not?’ It appeared that my desire to consign the phrase ‘Vivian Who?’ to the memory hole was beginning to take hold. It was a travesty that people were forgetting Vivian, so now was my chance to do something about it. However, panic attack aside, the show went very well thankfully, and our illustrious guests, plus the audience in general, loved it. Thanks to their approval, and a glowing review by Andrew Male in MOJO magazine, that night proved to be the turning point for the show. Since then more amazing shows have followed, each getting bigger and better than the last, and it is truly rewarding to watch your own dreams and intentions flourish. 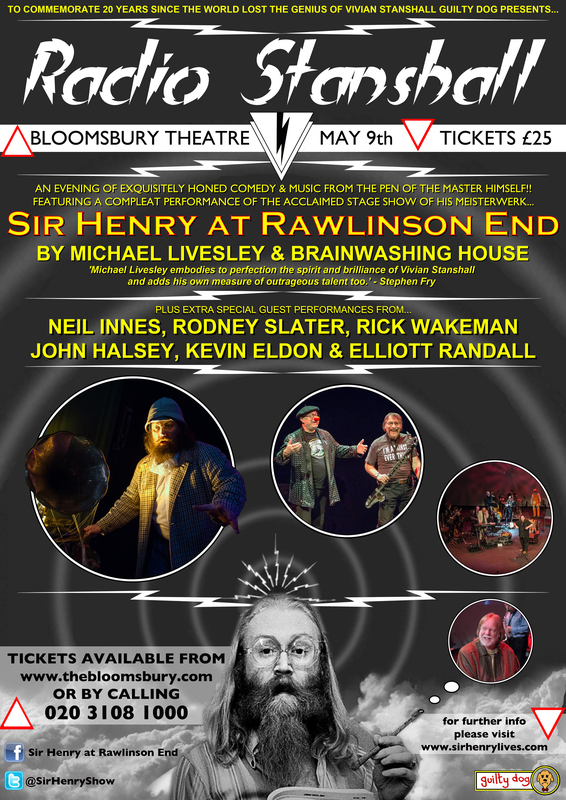 For the last 2 years Vivian’s son Rupert and I have also put on an evening of celebration of Vivian’s life at the Bloomsbury Theatre in London. These shows have featured many of Vivian’s friends and admirers getting up onstage with us, with the centrepiece always being our show ‘Sir Henry at Rawlinson End’. 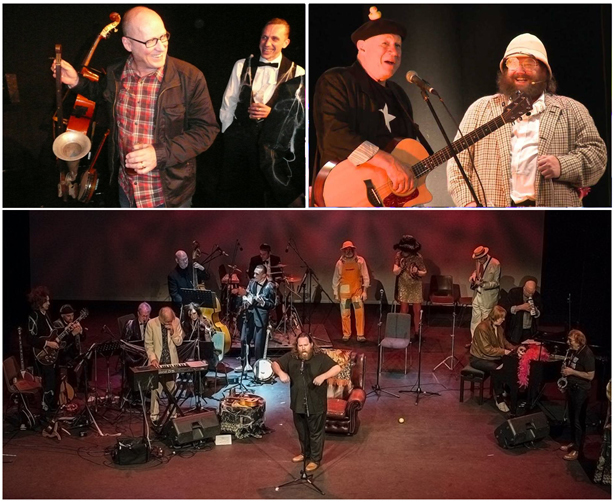 As Neil Innes himself said of our show, it is ‘..a tour de force and a work of art, that is the jewel in the crown of the evening’ – and it is that self-same evening that we are bringing to The Old Vic Theatre in Bristol on January 25th at the kind invitation of the Slapstick Festival. 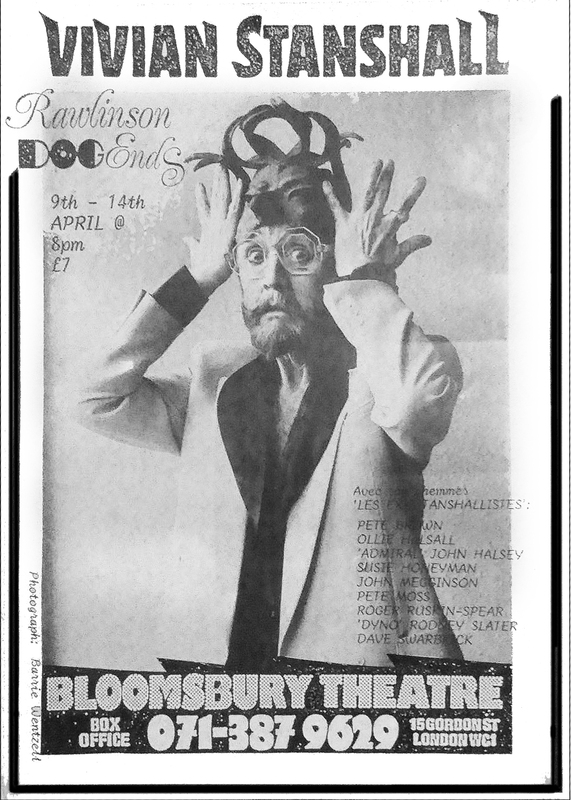 It is wonderful that we shall be a part of this event next year, especially as the intention of the organiser, (Chris Daniels), like our own, is to keep the legacy of the great Vivian Stanshall and his work alive. Author michaellivesleyPosted on October 30, 2014 Categories UncategorizedLeave a comment on Slap my Stick! 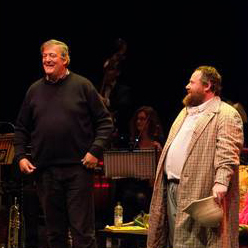 Stephen Fry joining us for our Bristol Old Vic show!! 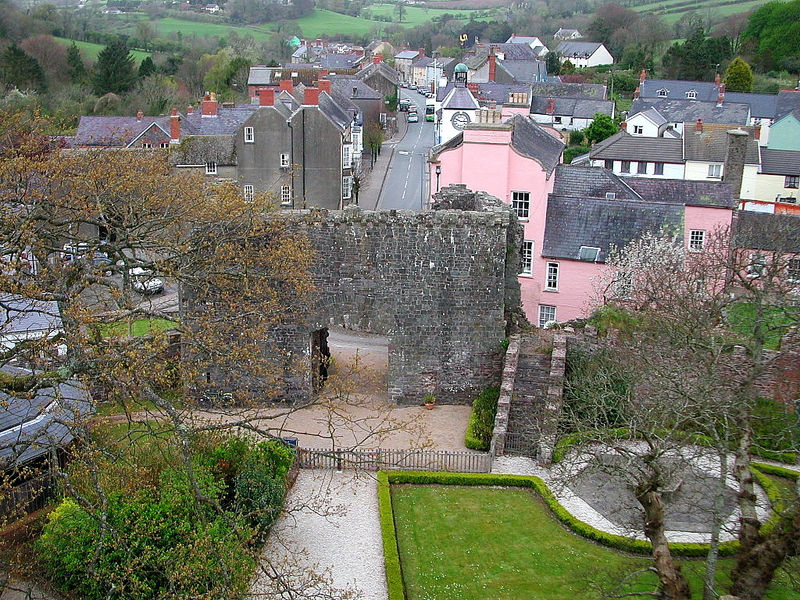 Laugharne from the air – Portmeirion eat your heart out! Well. What a weekend! 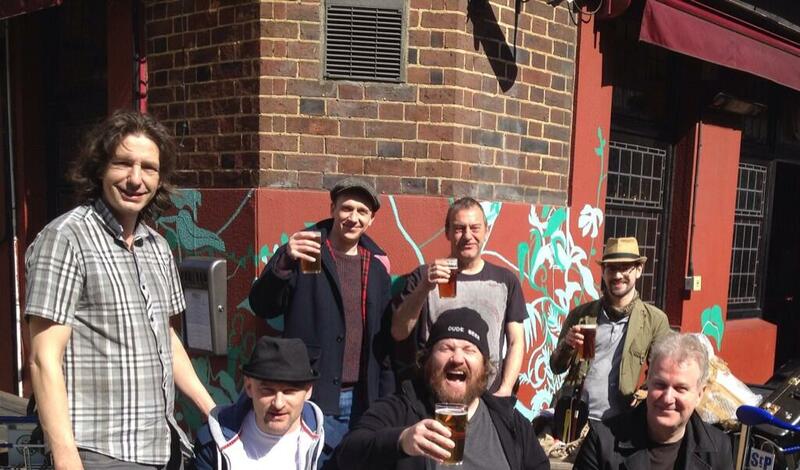 For the 7.125 billion out there who don’t follow this blog, let me tell you that last weekend was the most wonderfully edifying, life-affirming and ale soaked experience for many a year. 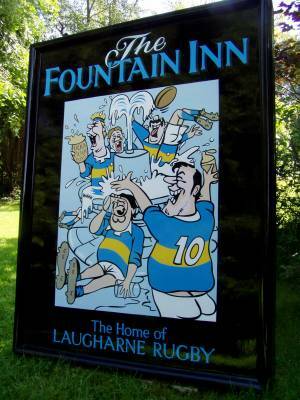 To save me explaining what the Laugharne weekend is, take a look at the website here. Since I was booked to perform at this wonderful event by co-organiser and music promoter Richard Thomas, I admit to not sleeping much. 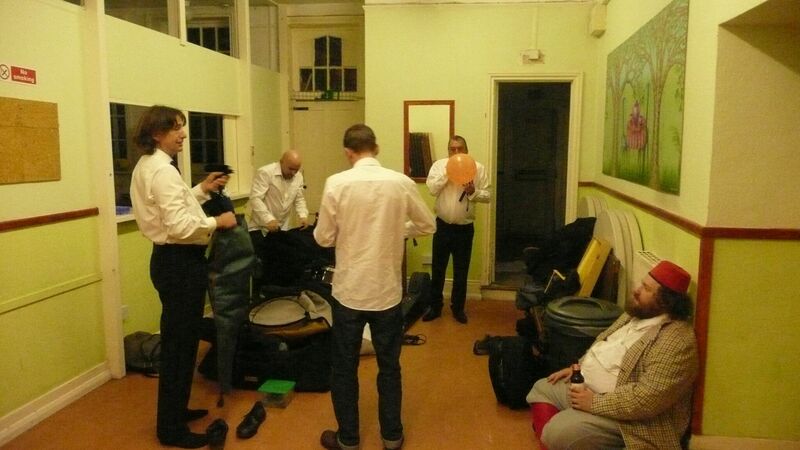 This was due to the fact that it was my first performance of my show Sir Henry at Rawlinson End without my trusted band, save for one member, spoons and cymbals man Jonny Hase. The drive down there seemed never-ending and, bar a few wrong turns, was quite uneventful. 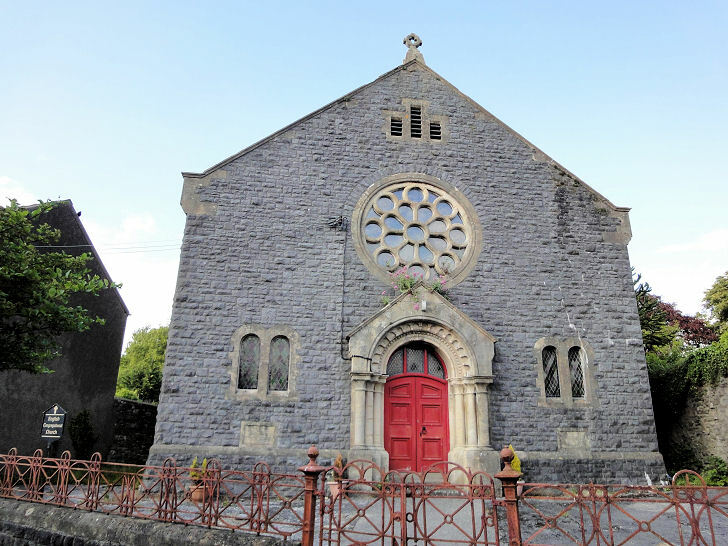 It was very late when we arrived on the Friday, but even as we entered this small town under cover of its starless and bible-black sky, it was clear that Laugharne was somewhere quite special. 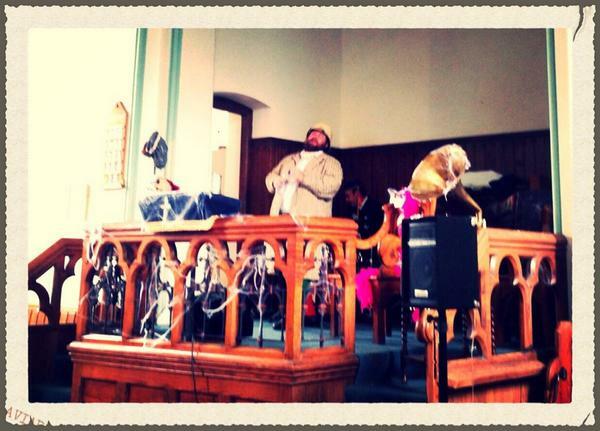 After an evening of sober reflection, and even a good 15 minutes of sleep, Jonny and I made our way some 50 yards from our digs at the wonderful Three Mariners pub with its top notch staff and patrons, to the chill, squat chapel that was the venue for our performance that Saturday afternoon. I decided to get the stage set and get me costume on straight away, before the nerves made my hands shake so much that it would be impossible. After a very nervous run-through with our new best mate Ed the technician, we were ready. I had heard from Robin Ince on Twitter that he was going to get an especially early train in order to come along to the show, and Robin arrived just before we went on. To our delight he then got up and gave us a very warm introduction. This settled the nerves a lot. Then 1, 2, 3, 4 the strains of Aunt Florrie’s Waltz kicked in and we were off! I returned to my hotel room at about 5.30, feeling lighter than air as the pressure was now lifted and I could enjoy the rest of the fabulous Laugharne line up. This was meant to be for a shower and a ‘little lie down’. When I woke up it was 9.30 at night, I was so gutted as I’d missed both Richard Herring and Mitch Benn, however I hastily ran out and managed to catch a cracking discussion on horror with Robin and the master of macabre comedy Jeremy Dyson. Afterwards I ended up back in the Mariners talking to Laugharne’s ‘Portreeve‘ Phil, who informed me that he was the ‘top man’ in the town. As the great Dylan Thomas had written of drinking beer with the Portreeve, (obviously not the same one), this seemed rather fitting. 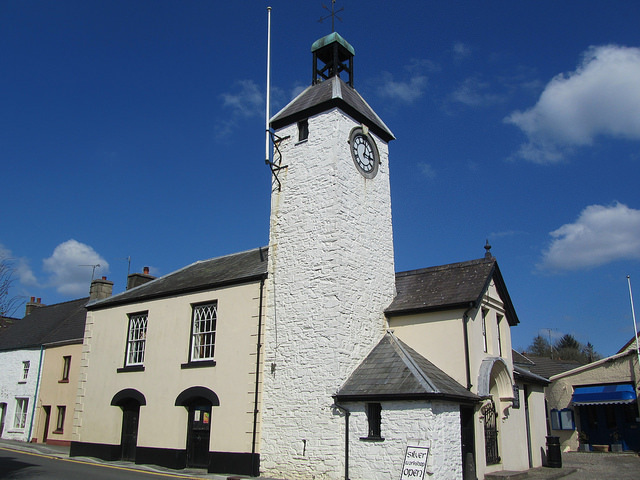 We got chatting and my interest in history and tradition must have been obvious to him, as 5 minutes later he had been home to fetch the keys for the town’s Town Hall and the next thing we were in there. It was a bizarre experience to be clambering up the crumbling, web-strewn ladders of an ancient bell tower at half one in the morning, arseholed on Felinfoel Double Dragon ale, but it is one that I shall never forget! Fred Dibnah would be proud! Cheers Phil! Amazingly I slept again that night and the Sunday passed by in a whirl of more Felinfoel Double Dragon ale and elation, (ale-ation? 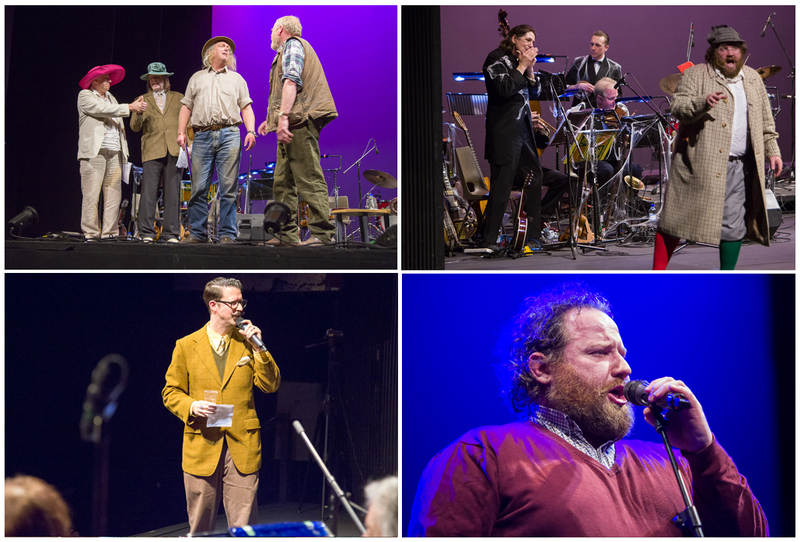 ), as I had the good fortune to hear Stuart Maconie, Graeme Garden, Kevin Eldon and Robin Ince entertain again. Stuart told me that his Dad was from my home town of Haydock and had spent a lot of time there when he was a kid. I wonder if our Grandads knew each other? 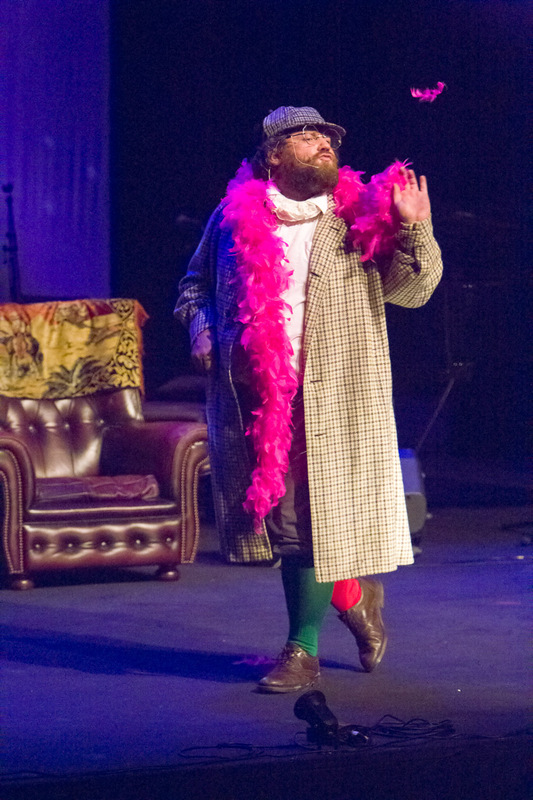 More delights came in the form of Kevin’s ‘Perfect Cousin’ character – poet Paul Hamilton – a truly surreal, intriguing, and very funny, Eldonian comedy creation that blurs the lines between comedy, tragedy and literature. Most entertaining, as was the Sunday evening spent supping in the historic Brown’s Hotel with Kevin, Graeme, A L Kennedy, Robin and Dr Alice Roberts. At about 1am Jonny and I staggered back to our digs at the Mariners and just as I was putting the key in the door, the author John Williams, the other festival organiser, called Jonny and I over and told us we must come and do a number at Keith Allen’s gig at the Fountains Inn before the festival ended. It took us a nano-second to agree, and the next thing I knew I was onstage next to him, desperately attempting to remain upright on the piano stool, play the piano and sing. 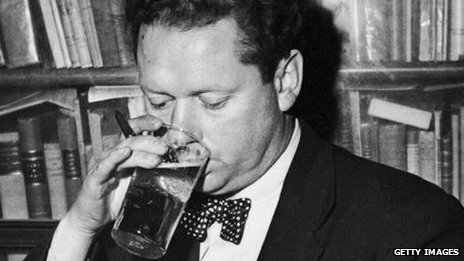 I did the best I could in the circumstances after a day of quaffing that Dylan Thomas himself might have been proud of, and the crowd went nuts and loved it. Keith too was fulsome in his praise and told me he was ‘blown away’. Result! So that was it, aside from me n Jonny wandering around the castle and the beach eating chips, that was my Laugharne, a place that has the friendliest locals you could ever wish to meet. I want to go back there already! I shall give the last word to Dylan Thomas, the man who is the inspiration for this entire shindig, who said of the place…. 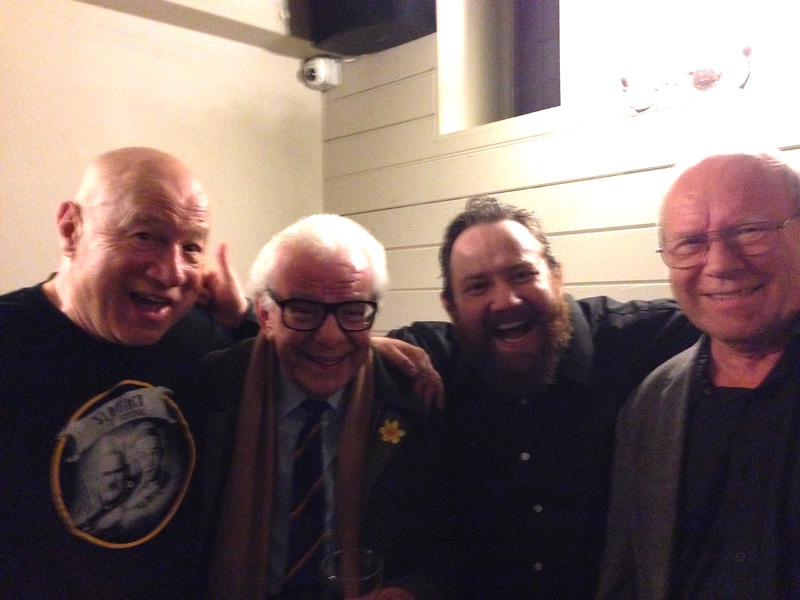 Author michaellivesleyPosted on September 30, 2014 Categories UncategorizedTags Bonzo Dog Doo-Dah Band, Bonzos, Dylan Thomas, Goodies, Graeme Garden, Kevin Eldon, Laugharne, Portreeve, Robin Ince, Sir Henry at Rawlinson End, Vivian StanshallLeave a comment on Laugharne all weekend long! 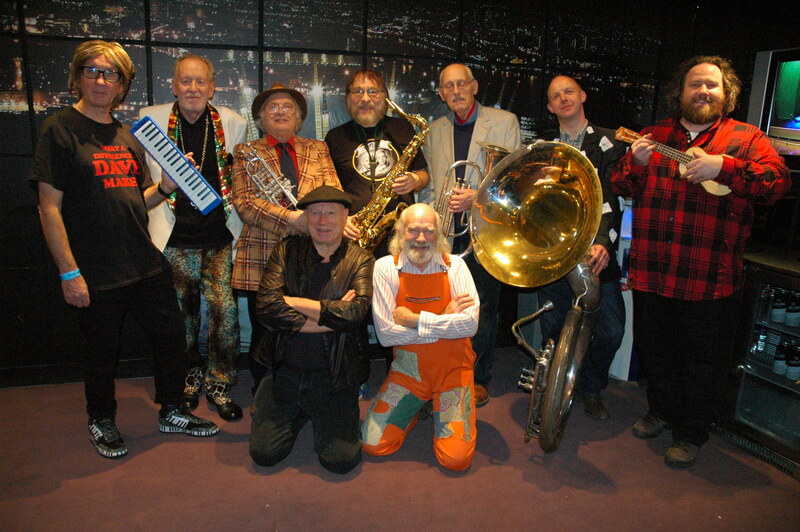 Author michaellivesleyPosted on April 18, 2014 Categories UncategorizedTags 'Admiral' John Halsey, Bloomsbury Theatre, Bonzo Dog Doo-Dah Band, Bonzos, Brainwashing House, Danny Thompson, Jim Cuomo, Mike Livesley, Mr B The Gentleman Rhymer, Neil Innes, Rick Wakeman, Rodney Slater, Sir Henry at Rawlinson End, Susie Honeyman, Vivian StanshallLeave a comment on ONE NIGHT STANSHALL – OVER N’ OUT! 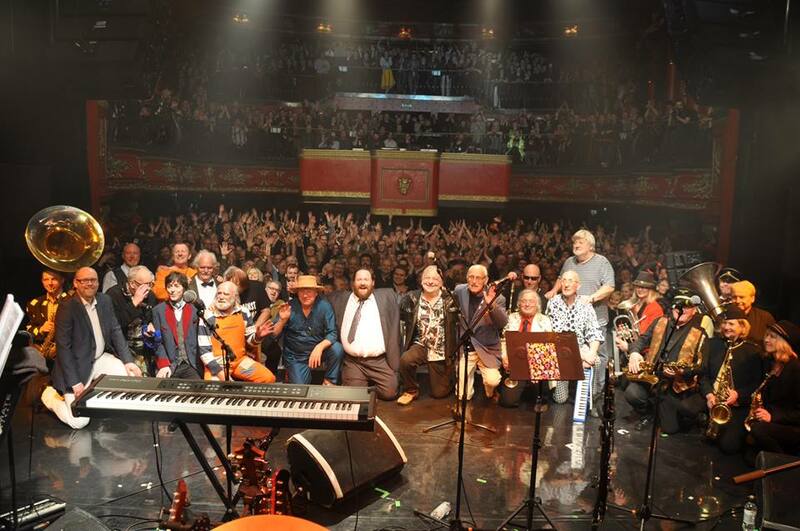 Author michaellivesleyPosted on April 3, 2014 Categories UncategorizedTags Ade Edmondson, Bloomsbury Theatre, Bonzo Dog Doo-Dah Band, Bonzos, Camden, Danny Thompson, John Halsey, Lion and Unicorn, Livesley, London, Mr B The Gentleman Rhymer, Neil Innes, Rawlinson End, Rick Wakeman, Rodney Slater, Rutles, Sir Henry, Vivian StanshallLeave a comment on ONE NIGHT STANSHALL………FIVE DAYS TO GO!!! !